Rainy day here in New England, let's flashback to the warmer times we love and cherish! Summer goes so fast, we want to hold onto these memories as long as possible, so winter doesn't feel so cold! Been slacking on blogging and geting back on it by sharing some past sessions. Love repeat clients because I have the joy of watching them grow as a family, last time little "R" was only six months old now almost three it is a whole new experience keeping up with her! This time we took the opportunity to get the extended family portrait while everyone was at the summer Cape home - relaxed, tan and cold beer not far away!! 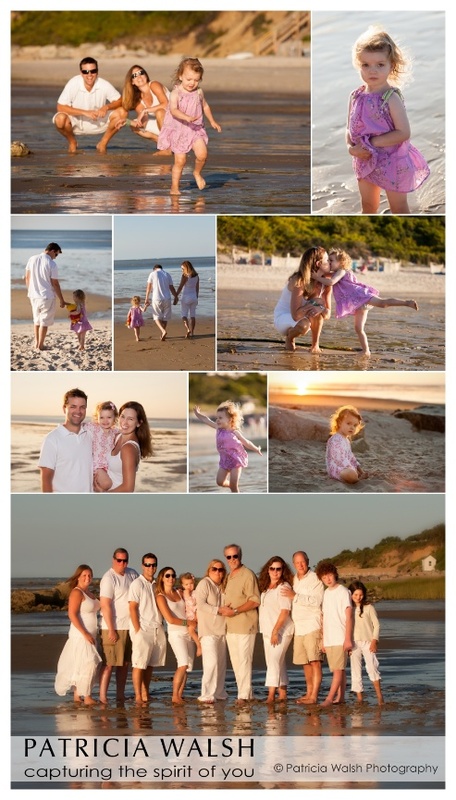 Just love, love, loved hippy dippy dancing in the low tide and capturing beautiful sunsets with this family!